How to make rice bran oil from rice bran? How to make rice bran oil from rice bran? The first thing to consider is the raw material--rice bran. Many countries in the world grow rich rice two or three seasons every year, and abundant rice bran is also produced at the same time. If you can get enough rice bran, you can consider building a rice bran oil extraction plant, which not only bring you profit, but also avoid wasting of rice bran, because in many places, rice bran is burned as fuel or used as fertilizer, even piled up there for long time, which is easy to cause fire disaster, and it's the biggest waste. Rice bran contents 16%-20% oil, which is one of top 3 oils recommended as healthy oil by WHO, and its price is much higher than other normal oils. Our team is willing to be your considerate consultant to help you set up your rice bran oil extraction plant to make rice bran oil, and make the waste rice bran into fortune. 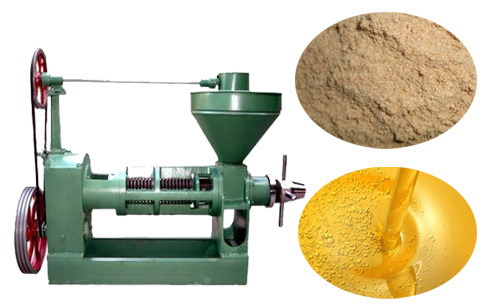 How to make rice bran oil from the rice bran by our machines? 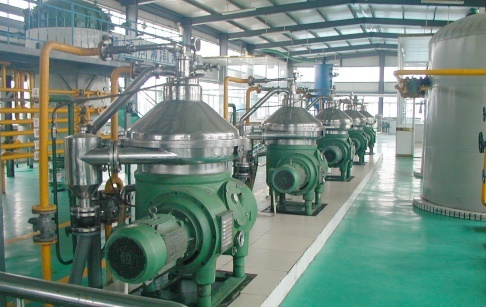 There are four main sections to make rice bran oil: rice bran pretreatment section, rice bran oil extraction section, rice bran oil refinery section and rice bran oil dewaxing section. To make rice bran oil, cleaning is the first step. Same with other oil seeds pretreatment process, rice bran needs cleaning section to remove mechanical impurities in rice bran to improve oil yield rate. Puffing machine is able to destroy oil seeds cell completely with high temperature, high pressure, etc. Puffing is necessary part to make rice bran oil. 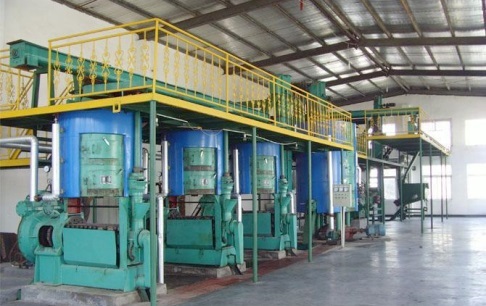 Rice bran oil solvent extraction plant is similar with other cooking oil solvent extraction plant, including solvent extraction, desolventizer toaster, oil stripping, and solvent recovery. 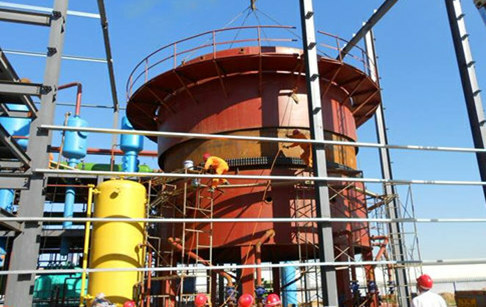 Same with other cooking oil refinery plant, rice bran oil refinery plant includes degumming, deacidification, decolorization, and deodorization sections. What is different is rice bran oil need dewaxing section, because the wax content in rice bran oil is high, about 3% - 5%. 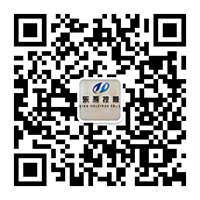 Henan Doing Company has been specialized in rice bran oil extraction plant since 1967. We can offer turnkey service for rice bran oil extraction plant with general capacity from 10 to 6000TPD and our professional engineers can help you design and install workshop according to your real conditions. 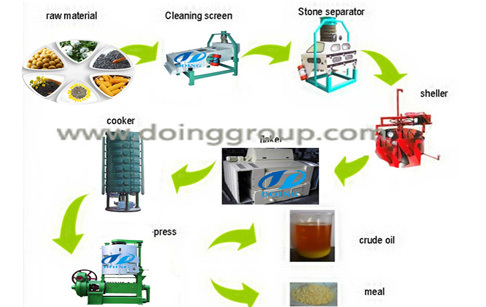 If you want to know more about how to make rice bran oil by our oil machines, please feel free to contact us. Prev:How to extract moringa oil at home ? Next:How to produce palm oil ? If you wanna to get more details about How to make rice bran oil from rice bran? you can send E-mail to market@doinggroup.com. You can consult our professional engineer and specialized sales team with leave a message in below form.We will contact with you ASAP.You also can visit our factory in Henan,China.Get Detailed address.